It’s funny we call it “going viral.” Viruses are generally seen as bad. 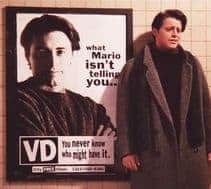 I think of a video going viral like Joey from “Friends” having his face on the ad for VD testing everywhere! Obviously, you know of viral videos. You probably watched a bunch of them this year. So, how did those videos leap out of obscurity into your feed? That’s currently true, but I did help Noah Baron’s video go from a few hundred thousand views to a few million views in a month. So, I know a little bit. It’s part art and part money. But what isn’t, right? Most everything I can think of has that combination in some form. Generally, at least, for a video to spread like wildfire – you need to start with quality content. Billions of videos have been uploaded to Youtube. Billions of hours of content are readily available. That’s just YouTube. There’s also Instagram, Snapchat, and Facebook. Not to mention Vimeo, Twitch and others I’ve not seen yet. How do you stand out? The first key is to make good videos. Out of all the content made, probably less than 20% of it is good. Yes, this is subjective, but there’s still a good reason most videos never get an audience (they aren’t very good). There are only two kinds of viral videos: for profit and not. The art of going viral is easier to with a not-for-profit video. You aren’t selling anything! Selling is harder than not selling. Noah’s video for example – it was funny and relatable to a lot of people (waiters) so… we targeted people who are waiters with Facebook ads and… boom. Viral. There was more that went into the targeting with the ads – getting the age range and locations right was crucial in fanning the flames of virality. This happened more than a year after the video had been released. Noah had accumulated enough views and shares over that time for this video to have the element of social proof. He almost doubled his Facebook fan page (from 8900 to 17k, at the time) in that month because his extensive backlog of quality sketch comedy videos awaited those who clicked on his page! There was a little luck with it as well. A channel with a few million fans shared the video. Now, only about 3-5% of those fans saw that post, much less actually watched the video… that’s still tens of thousands of views though. The waiter video wasn’t selling anything, so it’s easier for people to share. Videos of puppies and baby elephants are super cute and people will share them without hesitation. That’s not the same as selling something, like razors for example. Which Dollar Shave Club made viral. Razors. How did Michael Dubin do it? He made an interesting, funny, and unique video. It grabbed social proof and quickly caught fire. That video sold something. And did it ever! Sales of $4M in 2012 to over $150M in 2015! Then, Michael Dubin sold Dollar Shave Club for $1B to Unilever. A viral video can have immense monetary value – if you sell something. Only 9% of small businesses utilize YouTube. There’s an opportunity to be seized. If you’re a business owner and don’t know how to go about doing this, we can help. Send us a message and we’ll start the conversation about how to make your business go viral!